There are many benefits of customer centric marketing. These apply to both the customer and yourself. By understanding the products and services that your customer needs, you will generally find it easier to persuade these customers that they need what you have to offer. Rather than provide your prospective or existing customers with a complete portfolio of your products or services, identify those that relate directly to your customer’s business. You can then offer a range of products and services that you customer can use and may desperately need. There are steps you can take to understand customers’ needs, existing or prospective, and become more customer centric. Who are your customers: all customers are important but some may be more important than others. It’s often possible to apply the 80/20 principle to establish these: where 80% of your sales come from 20% of your customers. What market do these customers focus on? Which of your products or services do they use? How could you help these customers improve their business? Analysing the customer on basis of their interest is must, for example a respiratory inhaler selling organization would go through all the customer data based on its usage, popular technology in demand, product type in demand. Do targeted customer research based on your targeted market which will lead you to demographics segments, letting who your customers are and what they expect. Think as your customers might think: put yourself in their place. Consider what your main issues and challenges might be. Which types of product or service could help you develop your business and help solve some of your problems or help your business run smoother and more profitably. You could go one step further and consider yourself to be using your customer’s services or products. What improvements would you like to see from them, or what products or services are you unable to supply just yet? Now look at your own business and how you are meeting your customers’ needs. Again in their shoes, ask yourself what extra service or product types might be very useful to you. What can you do to make life easier for them? This need not be restricted to products and services, but also the processes within your own business. Perhaps a change to your invoicing system, or quicker and more frequent deliveries, would help your customers to improve their own businesses? How could your range of products/services available be improved and what are you not offering that your customers may need? Are the order delivery-payment processes satisfactory, or is there something that needs improvement? Is there anything we could have done better after sales in terms of support? You will know the important questions to ask your customers. The important factor here is that you are enabling them to feel important to you, and to have their say in how you can help them succeed. Your sales and service reps will play a large part in this. What do customers ask for that your business cannot provide? Sales staff can ask simple questions such as “Have you any issues with our products or anything you would like to see improved?” and “Is there anything you need (product or service) that we aren’t providing you with?” Try to establish what issues there are that you can help them with. Let them know you are on their side, and that they are important to you. One of the worst things you can do as a business is to respond to a customer request with “Sorry – we don’t do that” or “It’s not in our product range. “ Look at it from the customer’s viewpoint. They have a problem they need solved, and you can’t help them. So they will go to a competitor and you may lose them forever. A positive response often satisfies them: “I will ask our technical people and get back to you shortly.” Then look around the industry. It wouldn’t be the first time that a supplier has outsourced a product to keep a customer happy. Hold regular meetings between production, office, sales and customer service staff to discuss specific customers. Review their order frequency, sales value, comments to sales and service staff and how to better meet their needs. Make sure sales are not dropping, and if so what action can be taken. Are you taking customer comments seriously and being proactive in anticipating potential issues rather than be retroactive and having to resolve complaints. Try to treat you each and every customer precisely, use the customer analytics tools which enables you to track where the customer began and ended the interactions, thus provides you with the real-time, behaviour-driven engagement understanding how exactly a customer thinks, feels and reacts at each step of the journey and also which step in the journey is causing concern or frustration. In order to be more aware of the various issues within your industry, visit social media sites for information on products and issues within your industry or service sector. Both suppliers and customers use media such as Facebook and TripAdvisor to find comments relating to your business sector, or even your own business. This might enable you to fix problems before they arise. Your competitors will be trying to steal your customers that’s fact of life today. Generally, your customers would remain with you if they were happy with your product or the service you offer. However, it is sometimes tempting for a customer to take an enhanced product or a similar product at slightly lower price. Most businesses do not like becoming involved in price wars with pushy new companies competing against them. 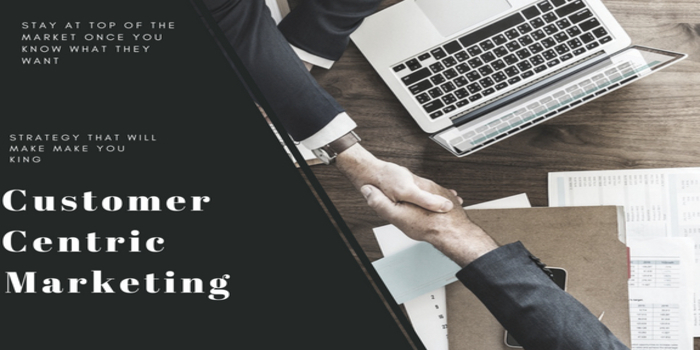 Here are some other customer centric marketing techniques to keep your customer on your side. it will provide you the data on customer and you plan the interactions accordingly. Telephone Manner: This is an important aspect of maintaining good customer relations and giving new customers a good first impression. Simply picking up the phone and saying “Hello” is not good enough. The person answering should start with “good morning” or “ Good afternoon” then give their name and the company name, then follow with “How can I help you?” or something similar. A good telephone manner impresses new and established customers alike. Get the Details Right: Make sure get details such as customer name, business name, address and other essential information correct. If you are replying by email or post, make sure the spelling of all three factors above is correct. If you are unsure of information provided by telephone, then ask the caller to repeat it, and you repeat it back for confirmation. Ask for spelling if needed. Give Them Multiple Contact Options: Inform your customers of a number of different ways they can contact you. Telephone and snail mail, obviously, and you could also include via social media, email or a contact form on your website. It also pays to have one personal contact, usually a sales or customer service rep, with whom they can discuss their needs and any issues they may have with your business. It’s good to talk with your customers rather than just talk to them, if you understand the difference! 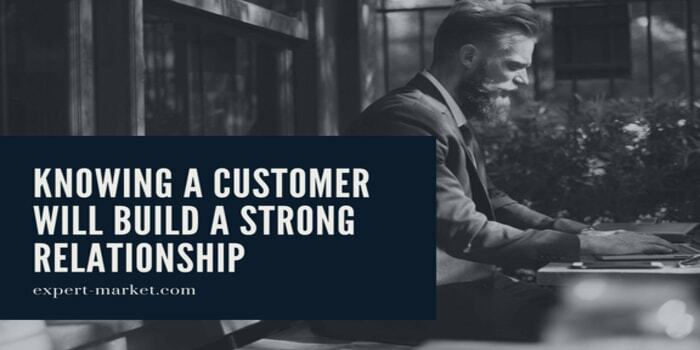 To gain loyalty, it is always good to use automated customer service software like Kayako that combines email conversation and live chat into a smooth and flawless customer experience. Respond to Their Concerns: If a customer asks a question, they want a positive response. “Sorry, don’t know” is not good enough and neither is “We’ll get back to you on that.” Listen to what the customer is saying and make sure you understand what the issue really is. Promise to look into it, and offer a time scale over which you will respond, but be realistic: “I am sorry to hear that, I will look into it and call you back before 5 pm Friday is that OK for you?.” Never make specific promises you are not authorized to make. Ask the customer if the timescale is suitable and then stick to it. Once the issue has been resolved, make sure this customer has special attention for a while to ensure no further issues arise. Customer centric marketing and understanding customer needs involves maintaining contact with all customers. You can do this both through regular service staff visits and also personal visits from senior staff members. Invite them to visit your premises, or, if appropriate, to send selected employees to your premises to see how the product is made and tested. This demonstrates your interest in them and helps establish a good relationship. 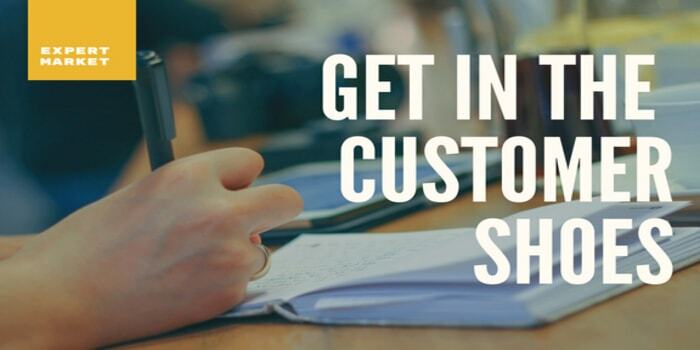 Customer centric marketing looks at the business from your customer’s viewpoint. Understand the customer’s needs and you will be able to meet them. It does not involve creating a list of products and services you can supply and asking the customer if they need any of them. It does involve understanding your target business sector, establishing what prospective customers or clients need and doing your utmost to meet that need. To paraphrase a famous saying by Sun Tzu: If you know the customer and know yourself, you need not fear the result of a hundred sales. If you know yourself but not the customer, for every sale gained you will also suffer a sale lost. That could be the mantra of customer centric marketing. The benefits of customer centric marketing involve understanding customer needs and meeting these needs. It does not involve giving the customer a list of products to choose from. Analyze their needs, and then meet them.